Comrades takes place during Chapter 14 of Final Fantasy XV, during which a great darkness has spread over the kingdom of Lucis, causing people to take refuge from ever-growing monster hordes. Here, many hunters and former Kingsglaive members band together to defend the citizenry and attempt to save what little is left of civilization. 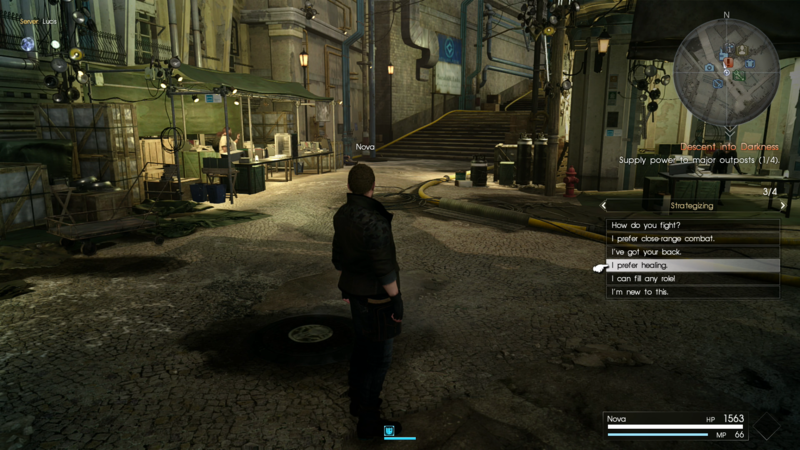 You’ll be creating your own character, a Glaive, that finds their way to Lestallum where refugees are gathering. 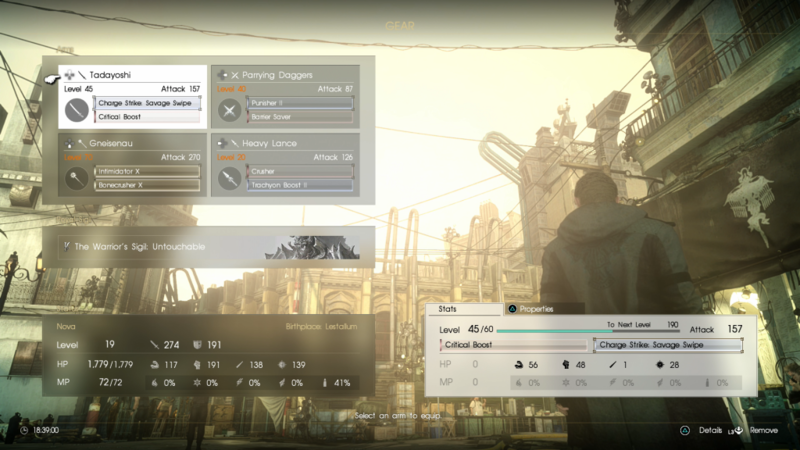 Of the many monsters you’ll fight in Comrades, many have explicit weaknesses to different types of weapons or elemental properties. One easy way to prepare for this is by toggling through the different monster descriptions at Monica’s quest counter. Simply highlight the quest and press the triangle button (PS4) to start flipping through the monsters you’ll encounter. Red numbers mean that the enemy will take increased damage when hit with that weapon or element type while blue means they will take reduced damage. Tailoring your weapon loadout for each quest will give you a good advantage when trying to take out more troublesome monsters. While Comrades does include the ability to vocally communicate by way of microphone, it’s not always the most ideal for some. Luckily the game includes a wealth of text options that you can easily convey your strategy. In more hectic encounters, assuming a stricter battle role, focusing on healing and buffing your party, diverting enemy attention, or going all out on damage can help you through the chaos with a little simplification. 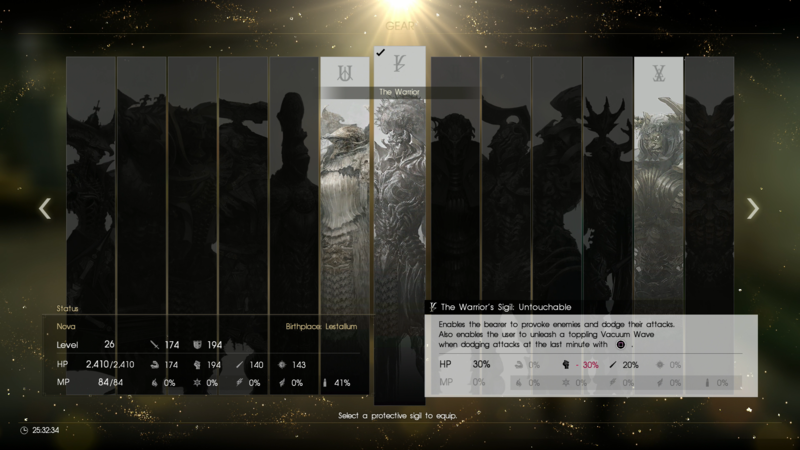 As you bring power back to various locales in Lucis, you’ll be able to assimilate the power of kings by equipping a Sigil. There are thirteen in all, and each have a unique ability suited to different battle roles. The Oracle, for example, will allow you to heal allies across a wider range and The Warrior will allow you to draw attention to yourself and evade enemy attacks with a button press. Choosing a sigil that gels well with your battle style is ideal, as they will also bestow passive stat bonuses that help that combat role. With the help of Cid Aurum and his laser cutter, you can craft upgrades into your weapon arsenal with various materials you obtain out on your quests. These materials have different properties when used in upgrading a weapon’s stats or imbuing it with a new ability, and some are better than others. The fastest way to get the most out of your weapon upgrades is to observe it’s preferred stats — you can tell these apart from the others by the small progress bar below them. While any stat can be amplified on a weapon, if you max out these progress bars (they’ll glow white when you do so) before the item reaches its level cap, the weapon be remodeled — transforming into an even more powerful weapon. Rarer items will bestow more stats, but also more experience, so you’ll want to keep a close eye on how your progress is unfolding so that you don’t inadvertently max out your weapons level before the remodeling conditions are met. 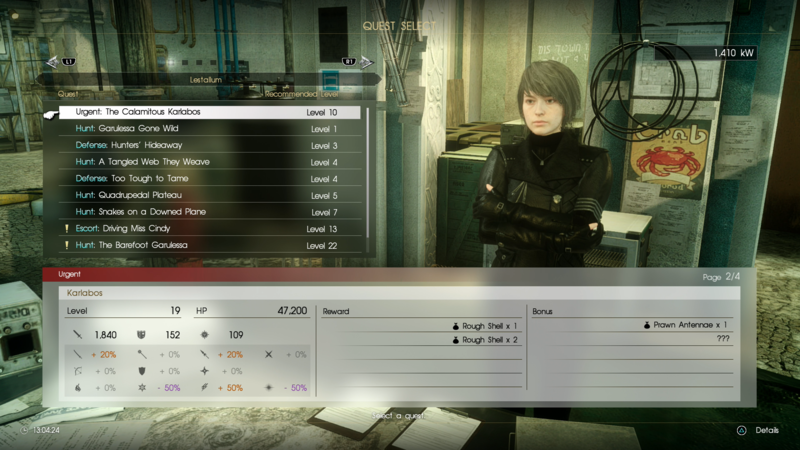 Later on the game, when you have more options to farm specific items (again, reviewing drop lists with Monica at the quest counter helps), you’ll be able to imbue weapons with not only the remodeling conditions, but additional stats that will help you customize more powerful gear. Comrades will let you create an avatar at the beginning of the game, but you’ll actually be able to create up to eight different ones that you can switch back and forth at your leisure. You share an inventory pool but each avatar must be levelled up independently. 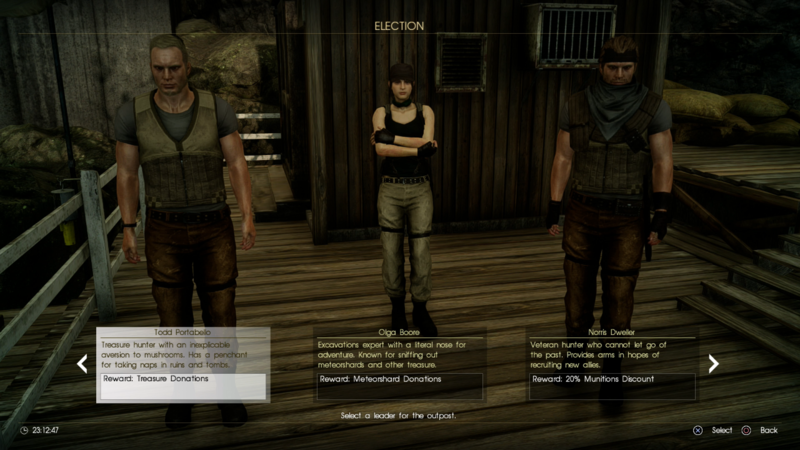 Any physical attribute of your avatar can be changed after your initial selection except gender. 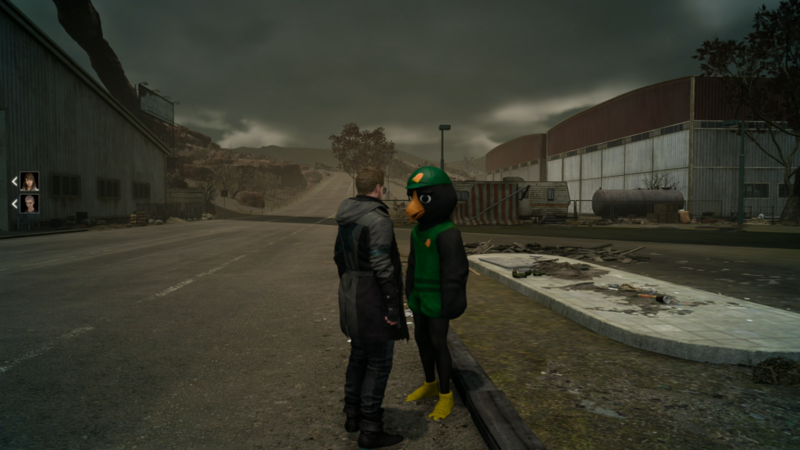 You’ll have to make a new character. Once you make any changes, you’ll be given the option to rename your avatar, so there’s no need to fret over the right name choice at the start. 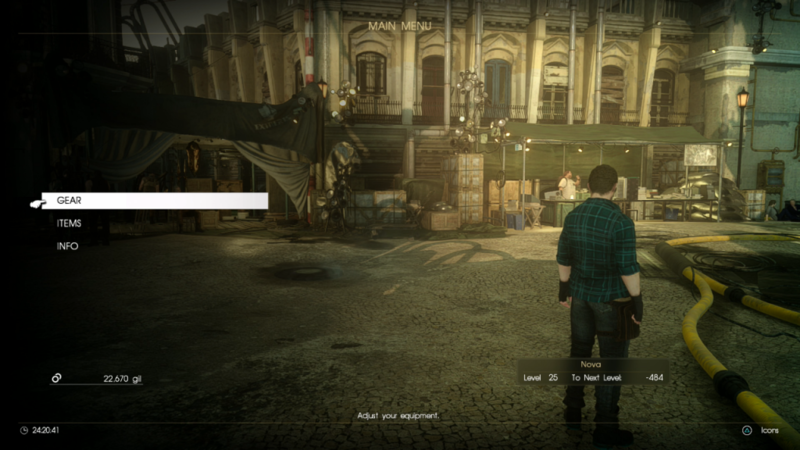 To edit your character’s appearance, speak wiith Dustin near the tent in Lestallum. Also, if you’re clothes start to get mucky, approach the tent and you’ll be able to steam them squeaky clean. As you fill out the power grid across Lucis, you’ll run into refugees that will take shelter at the various outposts you liberate. When enough of them gather, you will be given the option to appoint a leader and each candidate will offer different donations to your effort. These donations can come in the form of materials you can use to upgrade your weapons, gil for you to spend on new weapons or glamour, or meteorshards to hasten the power grid’s development. To redeem these rewards, hit up the supply counter in Lestallum — you’ll know when donations have arrived when the gold treasure box icon appears on your mini-map. The more citizens you elect to leadership positions, the more often donations will come in, so make it a priority to take a trip out to each outpost as soon as enough refugees have arrived. Currently, the game has a bug where completing multiplayer missions will sometimes bug your experience point tally. This will often appear as a negative amount that will prevent you from levelling up further. In our experience, we’ve found that whenever this happens, completing a mission with only AI comrades will fix it. You don’t necessarily lose experience from this bug, but being able to level up to access stat boosts is obviously worthwhile. Any tips you have to share for your fellow Comrades? Let us know in the comments below! How long is this content? Assuming I were to play it solo how long do you think it would take to get through the story? Just wondering if it’s comparable to the two hour lengths of Episodes Gladio/Prompto/Ignis, or if it’s longer. At $20 standalone I would hope it’s a much longer story. It’s quite large, I don’t recommend solo, at the moment my missions are higher level than my level, but due to smart weapon leveling I can handle 20+ lvl missions above my current level. lots of people seem to do this. but doing it with bots is a impossible. matchmaking for me has been mostly solid and mostly quick. as for play time I feel like I’m maybe 30% through the main campaign and I’ve been playing for around 15+ hours. Highest mission I have is level 32 and I’ve seen people lvl 50, I dunno what the cap is but lvling seems slow (maybe due to the living glitch), I’m only lvl 18. There seems to be a relatively simple but complete multiplayer game here. Oh wow, that’s much more content than I would have guessed. I mean I figured there’d be a lot of multiplayer-specific stuff-to-do, but I didn’t think the campaign would be so long. So basically any weapon that has a bar beneath one of the Stats can not only be upgraded, but completely remodelled. If its beneath Fire resistance and Vitality, feed the weapon Fire resistance and Vitality materlals before it reaches max level; then max it out with items you have that are high in quanity. You should get a screen prompt about the remodelling and a much more powerful weapon will be yours, with a different name. This upgrade system is brilliant! I beat the story in 25h. But now I still need to do more quests, unlock more gear, upgrade and unlock better weapons, and level up to the max. Additionally, there are options in the game that are locked and a message pops up that they’ll be available in future updates. So it seems more features, quests, and playable characters will be patched in with future updates. It’s a simple but good expansion that’s worth it, imho. Holy crap this is like a whole second game. I’m impressed! Not to sound big headed but I expect nothing less! Yup, exactly. Its similar to Ravus’ and Nyx’s attire. It’s so weird how AI teammates have it yet nobody seems to have found a way to unlock/buy it for player characters. So odd. I gotta say I’m looking forward to playing everything they’ve added so far. I’m still holding out for an explorable Niflheim expansion (Chapters 10-12 specifically are still dreadful but this would definitely help), and more story content with Luna, Ravus, Verstael, Regis and Iedolas. Also hoping against hope for a playable Kingsglaive episode. I’d also settle for them taking the last route and throwing a few of KGs cutscenes into the game. I look forward to see what season 2 will bring. I won’t rest until Tenebrae is fully explorable. the worst thing about this game is the loading times, how about turning down the graphics or removing towns and putting simple maps/menus instead? 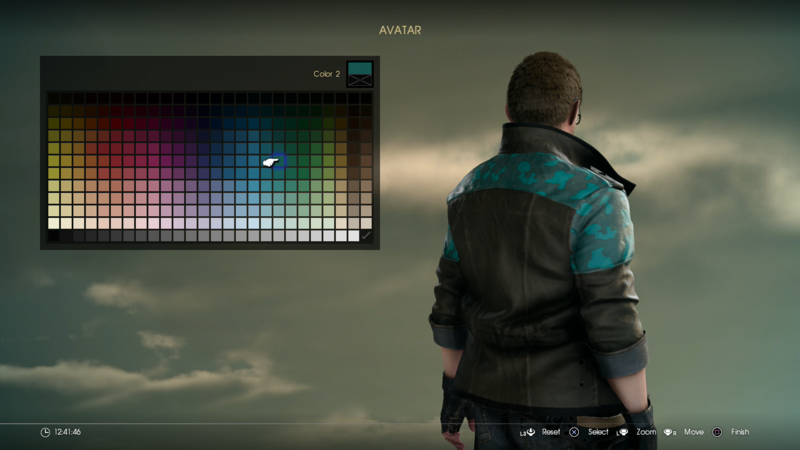 also the hairstyles and attire selection is a joke, you look like a GTAV character . I think of all the chapters that need fixing, Tenebrae needs it the most. I want an explorable Cartannica, Shiva corpse, and Gralea as well (Niflheim in general), but Tenebrae is a necessity. Furthering the story through totally random NPCs without ever leaving the train station while Tenebrae burns in the background was unbelievably shameful. P.s. did you hear about Luna’s ghost? Someone used the out-of-bounds glitch and found her ghost hidden in the mirror’s reflection in her room in Tenebrae. Idk if it was always there but some people were saying it got patched in. Would be very interesting if it was. How do you play with BOTH PSN friends and randoms at the same time? It looks like you have to make rooms and then there’s a super short window for friends to join? But once you make that room ONLY friends can join? So the general consensus is that this update is actually really good? From what I’ve seen and read it seems pretty cool. Only problem I can see is that it’s multiplayer and I don’t ever want to get PS+. Yeah I was equally really saddened by Tenebrae being off limits. The old trailers that first showed what Tenebrae looked like, not to mention the glimpses of it in Kingsglaive made me really want to fly the Regalia around it and explore it on foot.